This Dublin 4 hotel benefits from being located next door to the RDS. 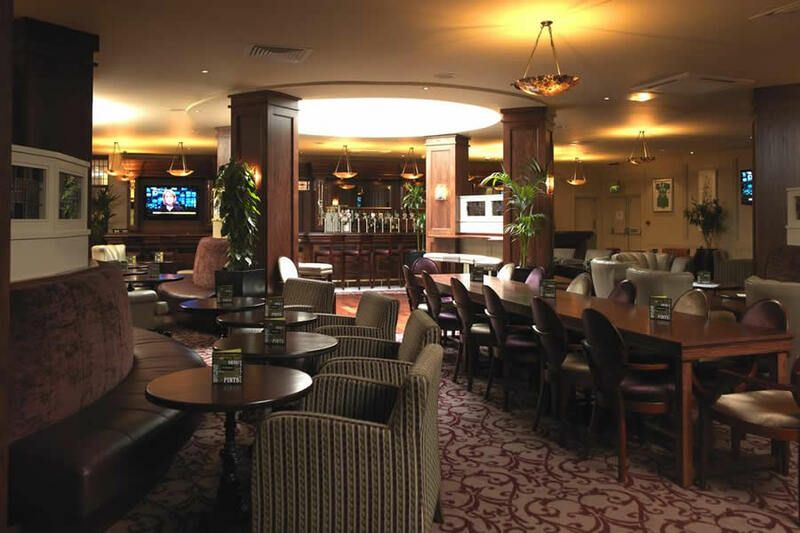 The Clayton Hotel Ballsbridge is in the heart of the business and embassy district. The beauty of this hotel is that itâ€™s like no other hotel in Dublin City. Its original features are striking and give it a unique charm. Clayton Hotel Ballsbridge once stood as a Masonic School but now stands as one of the best hotels in Ballsbridge.. Parking available for 12 euro per day. The Hotel is located on the Corner of Merrion road and station. & a few minutes walk from the RDS. The Air coach also stops at the hotel. 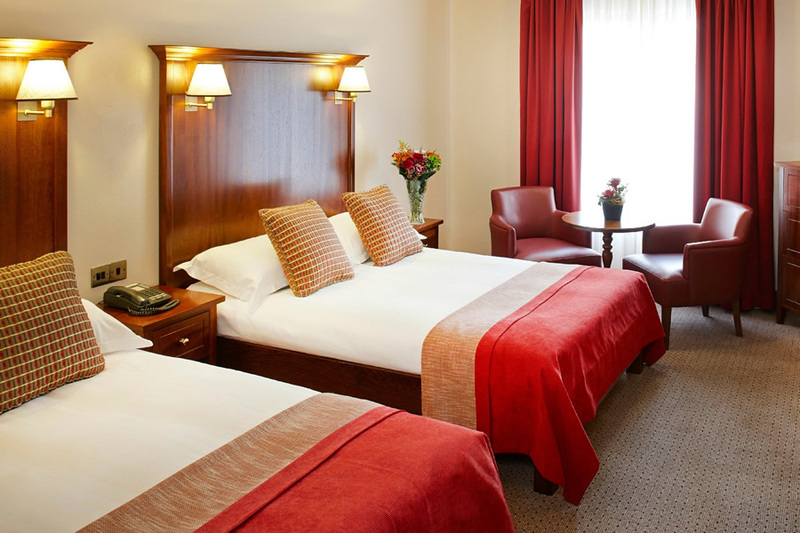 The Clayton Hotel Ballsbridge Dublin 4 or D4 is located on the corner of Merrion and Simmonscourt road next to the RDS Arena and convenient to Dublin City Centre. It makes an ideal base whatever your reason for travelling to this great city. 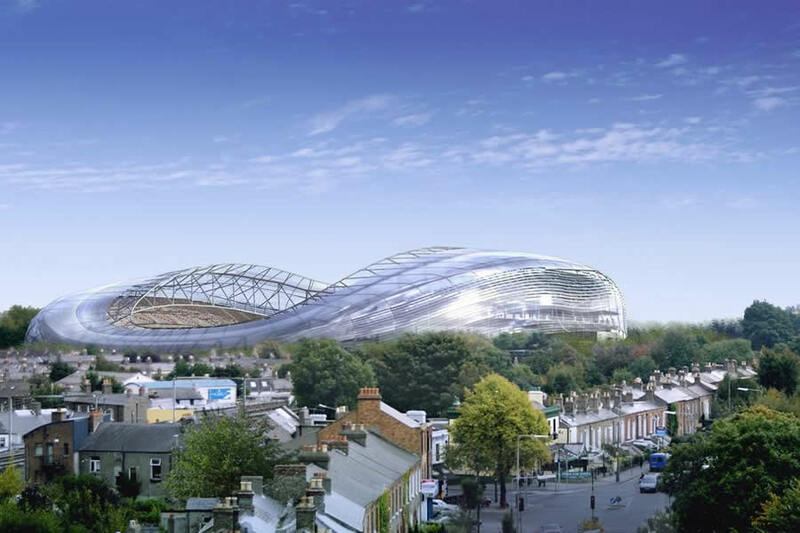 The hotel is only a five minute walk from Sandymount station. Hotel excellent. Bed very comfortable. Staff lovely. Breakfast excellent. Only complaint our room was beside the lift which was quite noise. But overall great stay. Stayed for 2 nights and found it one of the worst experiences for a Dublin hotel. Stayed here many times when under Bewley's brand and never had any problems. Waited over 40 mins to get a drink in the bar on the first night and had to send food back as covered with vinegar when it arrived. Was told this is the way they come but not noted on menu. (Chicken wings) Second morning at breakfast, having been shown to our table, went to self service area to return and find the table had been given to another guest. Had cereal and juice and went to get Irish breakfast at self service area once again to return and find the table cleared and reset for another party. All in all found the service poor and more geared towards volume rather than guest experience. Stayed In the Clayton hotel Ballsbridge for 3 nights. The hotel was very clean and comfortable. The staff were pleasant, professional and very helpful. The room was spacious and comfortable . Breakfast was excellent. I would definitely recommend this hotel. A fabulous hotel in a wonderful setting. The staff were very professional, courteous, friendly and very helpful. The rooms were spacious, very comfortable with tea and coffee facilities. The bathroom was fresh, clean with nice toiletries. The breakfast was plentiful with hot and cold choices and very tasty. The hotel was spotlessly clean, there was plenty for breakfast. Brilliant value for what we paid. Parts need a bit of an update but overall a very nice hotel. Staff on reception were very pleasant and efficient. This is one of the best hotels in Dublin. Located in Ballsbridge, a 2 minute walk from the DART station or a short taxi ride to anywhere in the city centre, it is my favourite hotel location. The rooms were recently upgraded and the food is excellent. Would recommend! Found hotel room v cold n terrible smell when we arrived bar staff under pressure n v rude food took over 40 mins n when it arrived it was cold .we were attending a show n when we returned to bar later that night bar staff asked if my husband was capable of having another drink which he took huge offence when he'd only had 4 pints previously while bar staff were serving the afters of a wedding crowd who were very drunk and loud downing shots !! Car park is an absolute joke too! I had a very enjoyable stay at the Clayton in Ballsbridge. The service was excellent as was the room and the breakfast. Will come back again. Hi We stayed here for one night over the weekend and I could not fault it. The room was lovely, very clean. The food was top class. This was good enjoyed the hotel, room clean and spacious. Breakfast chef, well not so good on hot food, but everything else well laid on and lots of. Hot breakfast rasher burnt to a cinder and the rest cold. Bar food well try it yourself. Very comfortable, good breakfast , and very helpful friendly staff . Great value for money, excellent location with secure underground parking, bus stop right outside the hotel and only 15 minutes from Dundrum I would definitely recommend this hotel for a convenient visit to Dublin! Very good value, lovely building in great location. Staff helpful to very helpful. Very nice room, great breakfast, lovey staff, good bar food in very friendly atmosphere. Only complaint was €12 for overnight parking is very steep. We atayed here on 27th Dec. The hotel room was very nice we were traveling with 2 small children and it suited our needs. We ate in the hotel bar and service was very poor Food was just ok. This was maybe due to the hotel being very busy. You also have to pay €12 for overnight parking which I thought was a bit steep.. Definitely not a 4star hotel. Very good value. Lovely room comfortable and clean got an early check no problem great breakfast would stay again. Really beautiful hotel. The room was lovely and exactky what you wanted not to big just the right size. The staff were extremely helpful in anything we did and the price of the room for bnb for 2 of us was excellent especially in the middle of ballsbridge. The breakfast was brilliant the selection was unbelievable catering for all. Really enjoyed our stay and if I'm looking to stay in dublin again the clayton would definitely be high on my list of hotels to stay in. Location and hotel good, breakfast good, only after bar was closed, they charging 7€ for small beer bottle. Thoroughly enjoyed our stay, staff couldnt be nicer and more accomodating, very comfortable surroundings and excellent choice of food. Definetly rate it 5 star. Nice hotel,great location for Ballsbridge and Rds.Comfy beds and bedlinen.Not the most inspired breakfast but served hot and plentiful.Staff impersonal but exactly what you expect for a large hotel.Car park 12 hour for 24hrs. Everything was nice, the staff, the food and the location. The only negative was the lack of electrical outlets next to the bed, for those using a CPAP machine. The hotel on the day was very busy but the staff kept up with all the demands put on them. To be honest the breakfast was one of the finest breakfast I ever had at a hotel. Great taste and plenty of choice. I will stay here again. A bit of a puzzle getting from underground car park to reception and then having to change lifts again to get to room. Reception was fast and efficient, rooms were ok, could have been water to drink in the room, otherwise comfortable, warm and breakfast was acceptable. The one nasty element of our stay was the imposition of a €12 charge for our car on top of the bill at the end. Very nasty. Excellent hotel. Room was fabulous, breakfast excellent. staff were helpful It is a beautiful hotel to stay in. I enjoyed my stay at the hotel. The bed was comfortable. The food was very good. Friendly staff and everything was very clean. the hotel was very central for me. Nice hotel, comfortable room and good connections to central Dublin. Offers excellent value and friendly service. Lovely Hotel. Clean. Friendly staff and a great location. Gutes Hotel in ansprechender Lage und Ambiente, familienfreundlich, moderne Zimmer und gutes Frühstück.